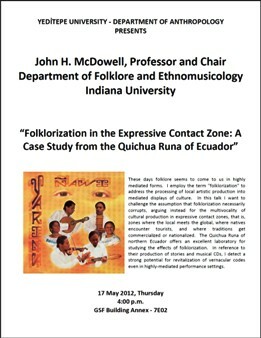 "Folklorization in the Expressive Contact Zone: A Case Study from the Quichua Runa of Ecuador"
These days folklore seems to come to us in highly mediated forms. I employ the term "folklorization" to address the processing of local artistic production into mediated displays of culture. 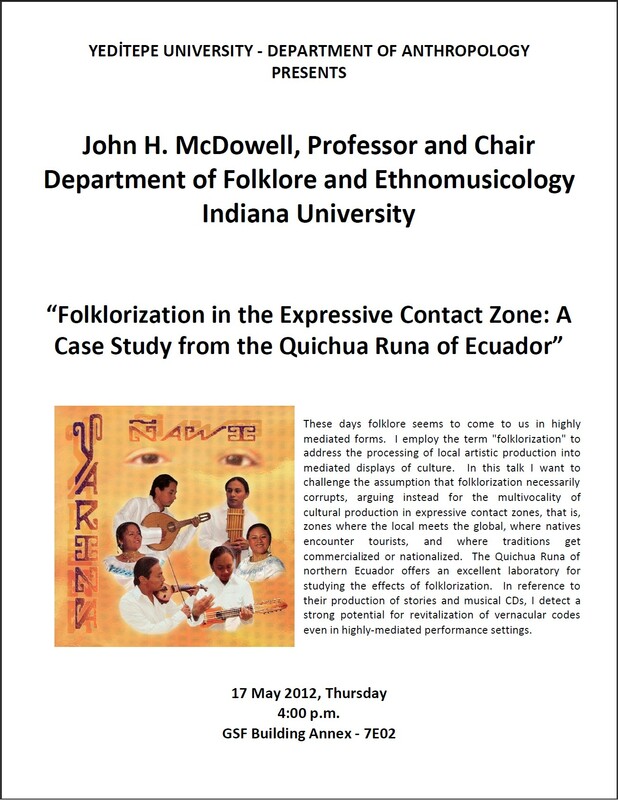 The Quichua Runa of northern Ecuador offers an excellent laboratory for studying the effects of folklorization. In reference to their production of stories and musical CDs, I detect a strong potential for revitalization of vernacular codeseven in highly-mediated performance setting.